Redesigning your website can be daunting. But as the “virtual storefront” to your business, it is absolutely vital that your website stay fresh and relevant to your target market. I’ve gone through a couple of website redesigns in my past. 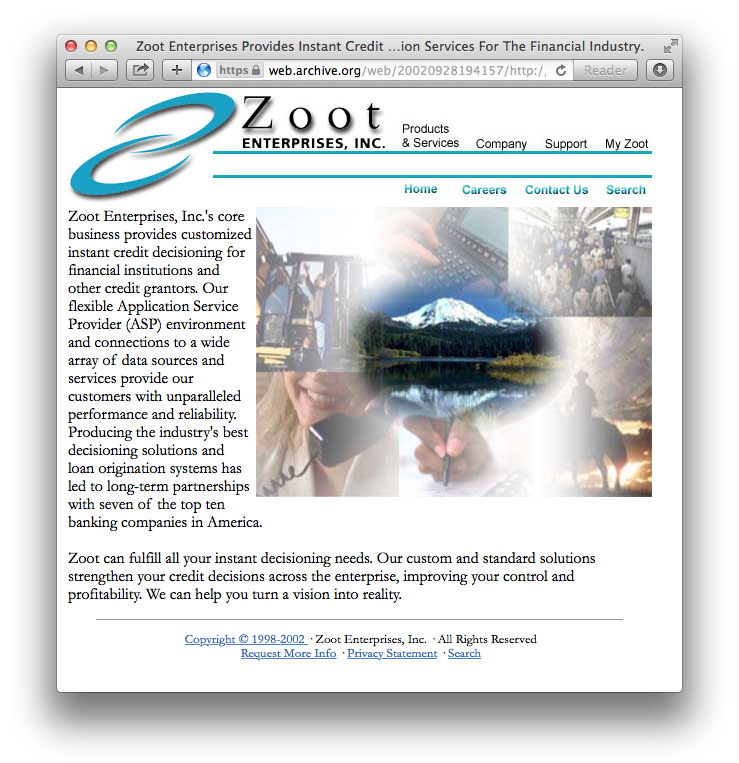 (In case you were curious, my first website redesign was in 2002 – screenshot at right courtesy of WaybackMachine. And yes, I was very proud of this website.) And what I will tell you is that there’s something to be said for doing it right. 1. Keep your personas and goals in mind. I may sound like a broken record, but make sure to determine and keep in mind your personas and goals before embarking on a website redesign. 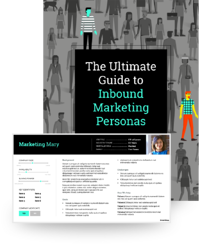 Having defined personas will allow you to target the design to your target audience rather than basing it on your gut (or HiPPO). Having goals for your website gives you a mechanism to make decisions on the design as well as measure success once you are done. When done correctly website redesigns take awhile to complete (depending, of course, on whether you are starting from scratch or just doing some minor enhancements). Unless you are working with professionals, it is going to take longer than you think. If you are doing any of it yourself, do not commit to a specific date until you have added in padding. My rule of thumb? Whatever your estimate of how long the whole process is going to take, add 50-100% more time. 3. Don’t try and do it yourself. Websites are a beast. Keep in mind there is an entire industry out there dedicated to UX design for websites. Perhaps you dabbled a bit in design in college? That’s great! But leave designing websites to the pros. There is nothing worse than deciding to do it yourself and then ending up months later with a website that is just okay and becomes obsolete in a couple months. Another great option is to purchase a Wordpress or HubSpot template that enables you to do a redesign at a fraction of the cost while still implementing design best practices from the pros. 4. Follow up “I don’t like this part” with why. If you heeded my advice in #3 about not trying to do a website re-design yourself, you’ve likely either hired a firm, a graphic designer, or are working with a template yourself. When working with an external designer, remember that “I don’t like it” is not useful or productive. Try to be as specific as possible with why you don’t like something and how it can be improved. (Bonus if you can state a reason why your persona(s) won’t like it.) Designers appreciate feedback, but only feedback that is actionable. 5. Don’t do the sitemap, the design, and the implementation at the same time. Regardless of whether you are using a template, doing a website yourself, or hiring an agency, remember this: the architecture, the design, and the implementation are all separate processes and should be treated as such in a linear fashion. Trying to determine what pages you need and how they are organized while you are in the middle of implementation will just be frustrating. Take the time at the beginning to make a sitemap that outlines the structure of your website, what pages you need, and where everything will be accessed. Similarly, don’t try and design as you go. This is a recipe for disaster. Instead make a mock-up using Photoshop, Illustrator, or here in-house, we use Invision. Once the design is locked in, then start implementing it. 6. Figure out your copy simultaneously. Or write it while someone else is working on the design. If you nailed down your sitemap ahead of time, working on the design and the copy at the same time is the way to go. Redesigning your website can be a big project. Follow these tips for a smoother process next time you are faced with one! Jessica Vionas-Singer is a Marketing Strategist at SmartBug Media where she leads the strategy behind inbound and content marketing activities to help a portfolio of clients exceed their sales and marketing goals. She fell in love with marketing at her first job at a technology company specializing in credit evaluation software. Prior to joining SmartBug, Jessica was the Director of Marketing at a B2B company that built software for analyzing genetics. 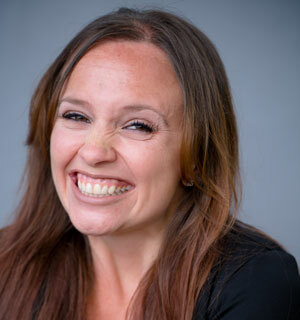 Her background includes more than 17 years of marketing experience in content creation and lead-driving tactics, online presence and blog creation, social media engagement, budgeting and project plans, webinar and trade show event management, public relations, comprehensive promotional campaigns, and analytics. Jessica has a BS in Sociology from Montana State University – Bozeman. Read more articles by Jessica Vionas-Singer.